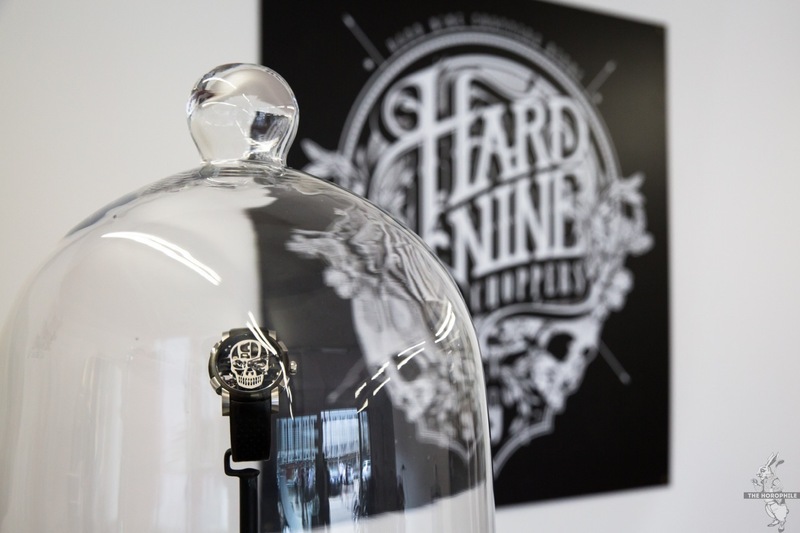 Last Friday on the outskirts of the Swiss capital of Bern, I had the pleasure of attending the launch of Romain Jerome’s latest collaborative project with Swiss custom bike builders HardNine Choppers, the “H9C-DNA”. 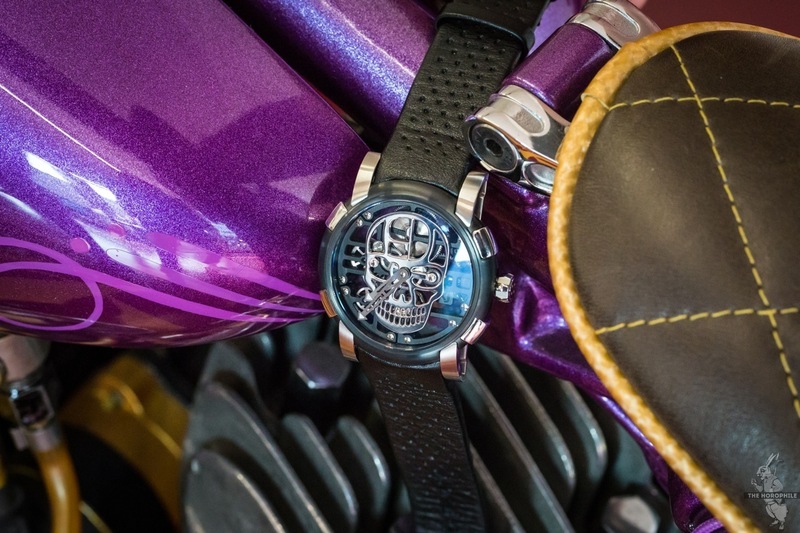 During Baselworld a few months back, Romain Jerome had a little surprise in store for those visiting their booth, a magnificent purple custom bike along with what appeared to be a matching watch bearing a skull finished in the same metallic purple tone. 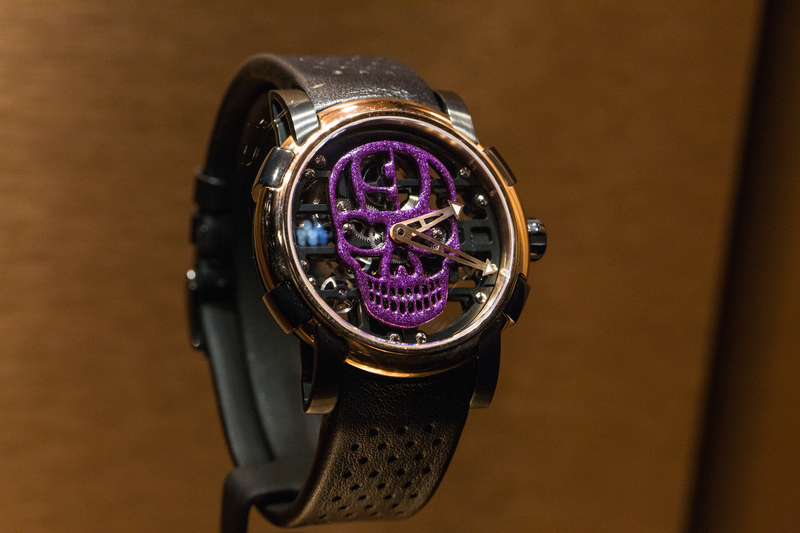 At the time, the folks at Romain Jerome simply told us to stay tuned. 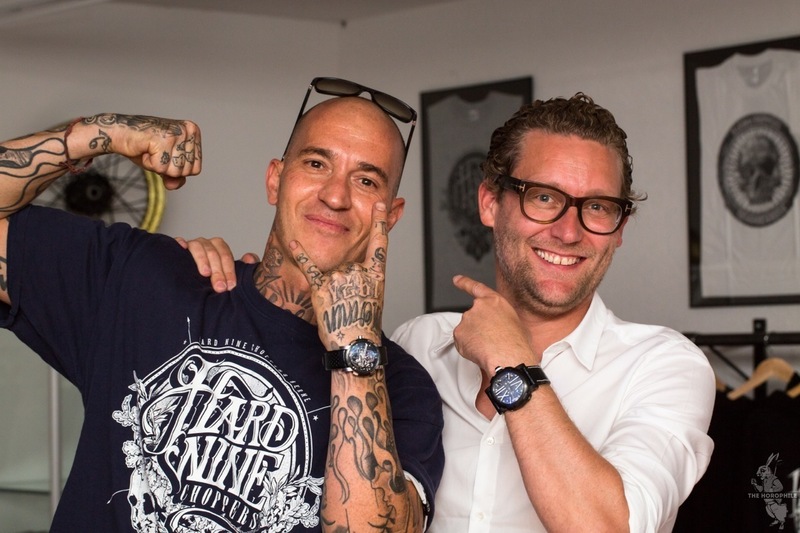 As it turns out, Romain Jerome had been working for some time now with custom bike builder Danny Schneider, the Swiss FMX biker turned international award-winning custom bike builder and the man behind HardNine Choppers or “H9C. 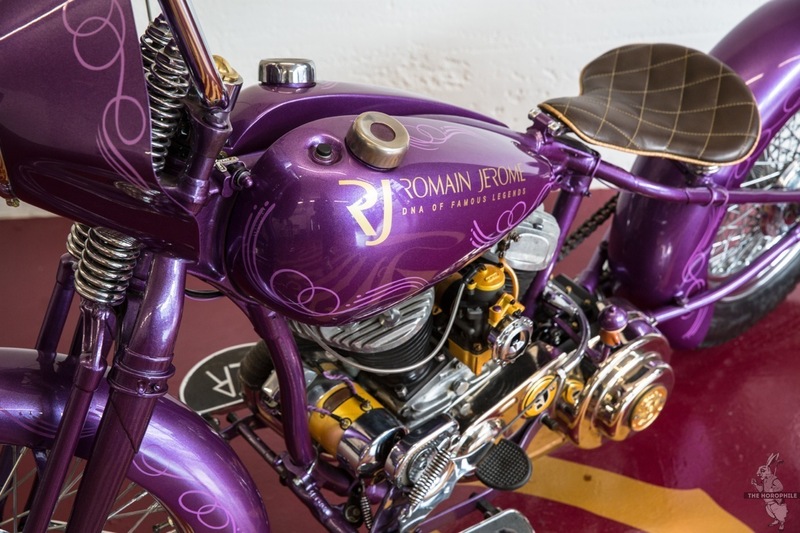 The project was to produce a unique, one-off bike with a matching Romain Jerome watch, to be sold as a set. 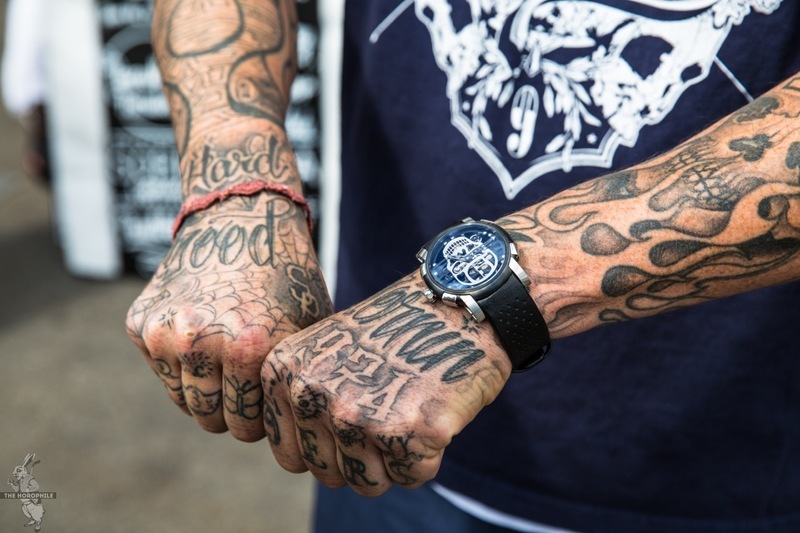 Not surprisingly, the pair sold within the first few days of the watch fair. 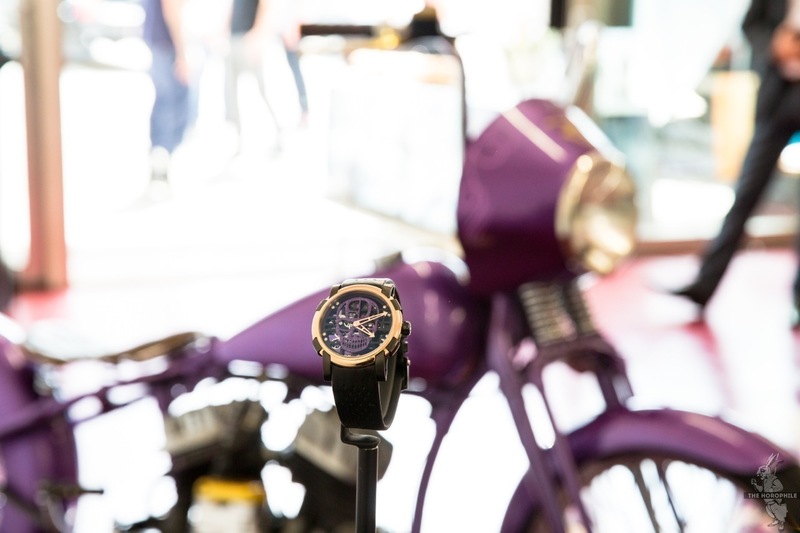 Being Romain Jerome, I kind of expected the launch event to take me way out of my comfort zone, much like the launch of the Tattoo-DNA at Mo Coppoletta’s “The Family Business” tattoo parlour in London I got to attend last September. 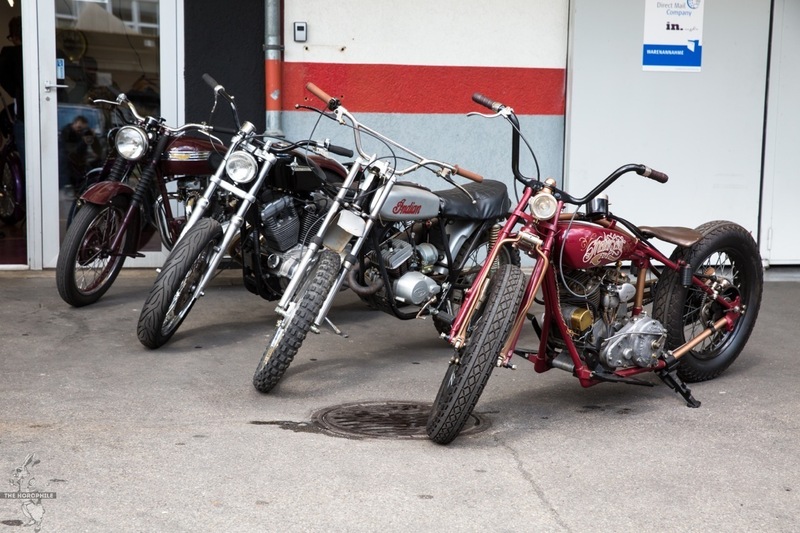 And while the world of bikes or “choppers” maybe a bit more familiar to me thanks to a HOG uncle (okay and maybe Sons of Anarchy), spending time at an actual custom bike workshop for a watch launch is not something . 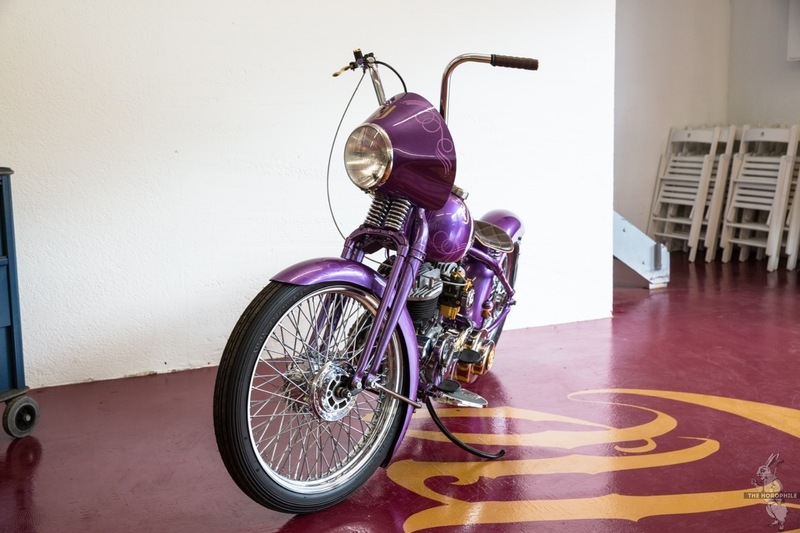 But that’s precisely what makes it all so special. 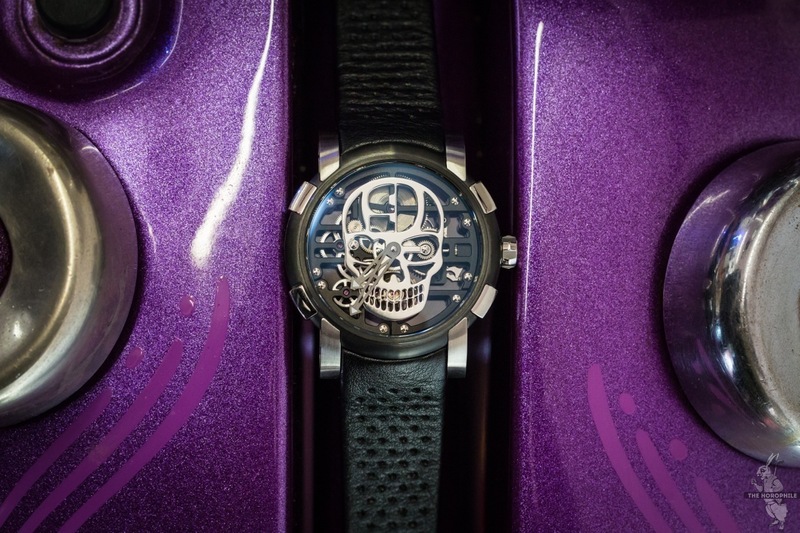 Romain Jerome is probably the only watch brand out there that can consistently break into new, creative domains that are just way too bold for the average luxury watch brand. 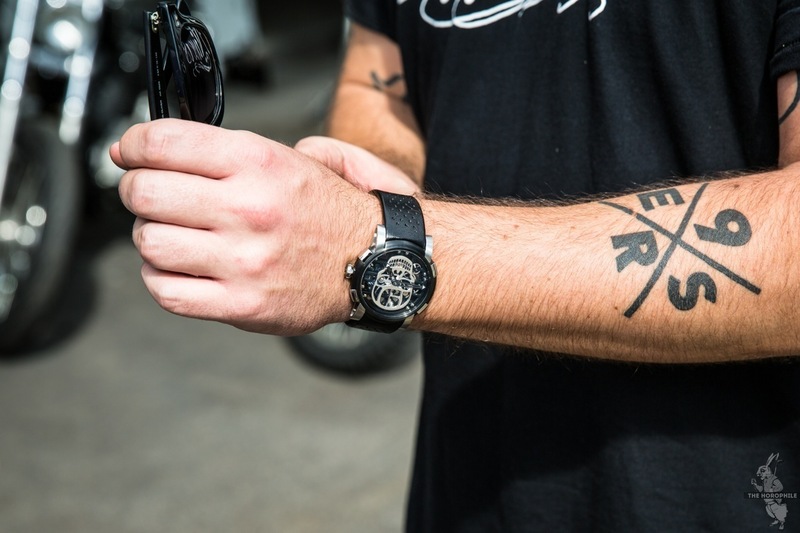 It’s worth noting that Danny Schneider was a a Romain Jerome customer long before this collaboration was even in discussion, which just goes to show you how such a partnership can come about quite organically. 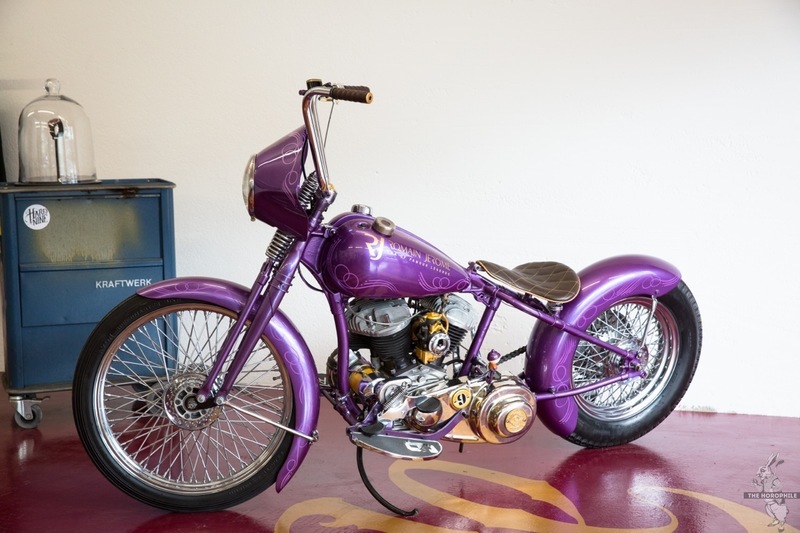 The bike was built by Danny Schneider and the HardNine crew, and is based on a Harley Davidson WLC from 1943 that originally belonged to the Canadian Army. 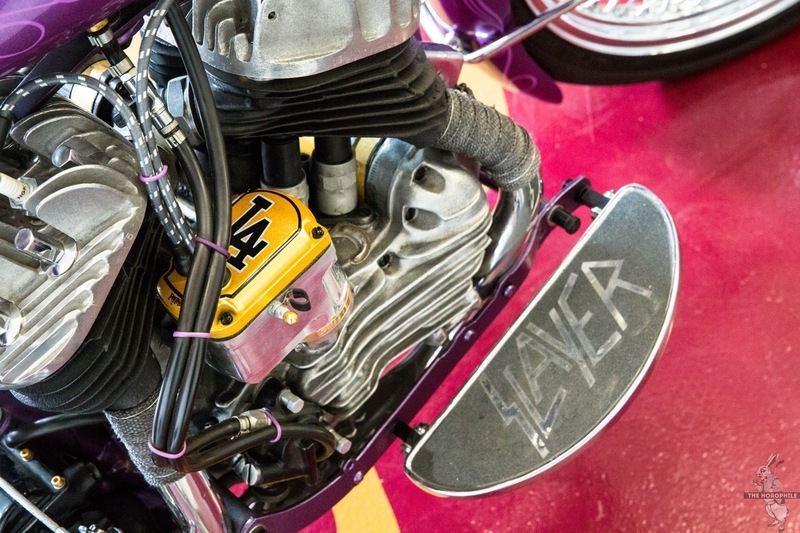 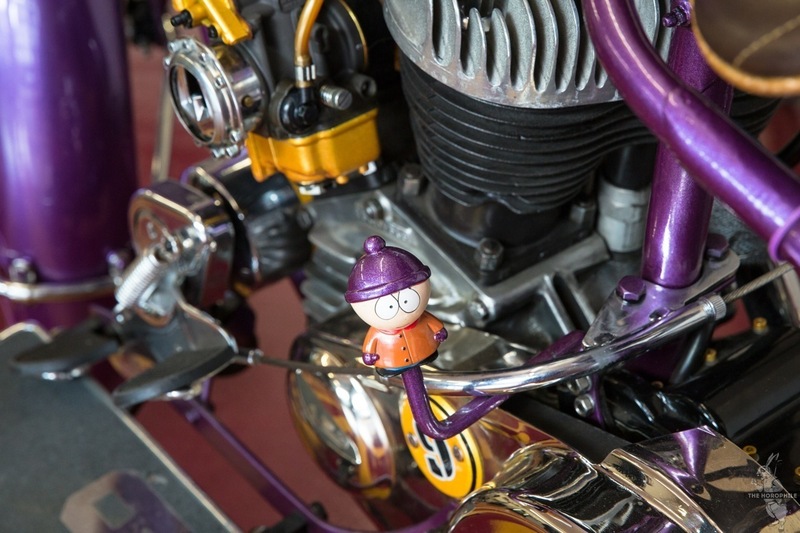 Finished in purple paint with metal flakes and pinstripes, the bike boasts custom made parts by H9C including gas and oil tanks, front and back fenders, bars, pipe, seat, triple trees, grips, carburettor and gas caps. 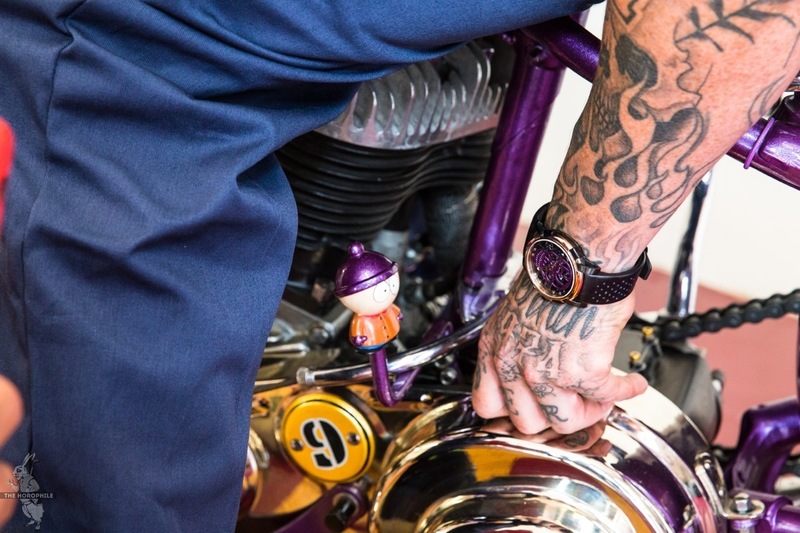 The limited edition watch that you can actually pick up without having to buy a unique custom bike is based on the Skylab model, officially unveiled earlier in the year. 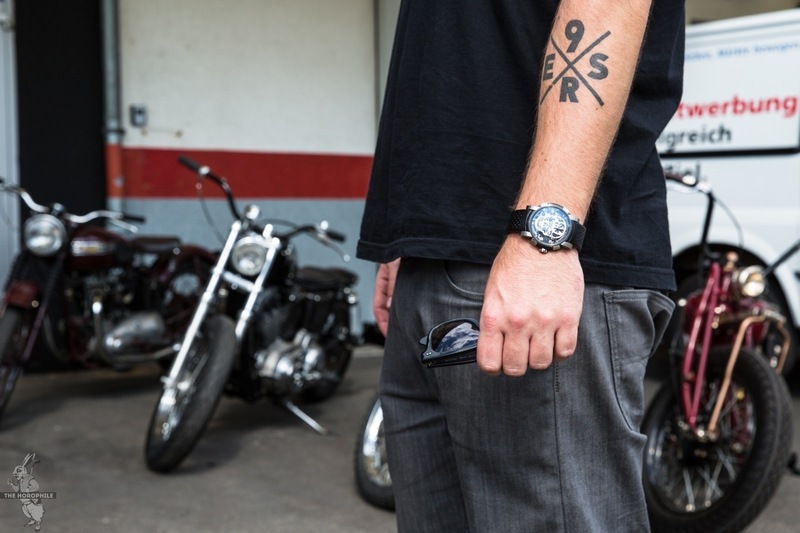 The H9C-DNA features a skeletonized skull (that sounds weird) motif done in high polished metal. 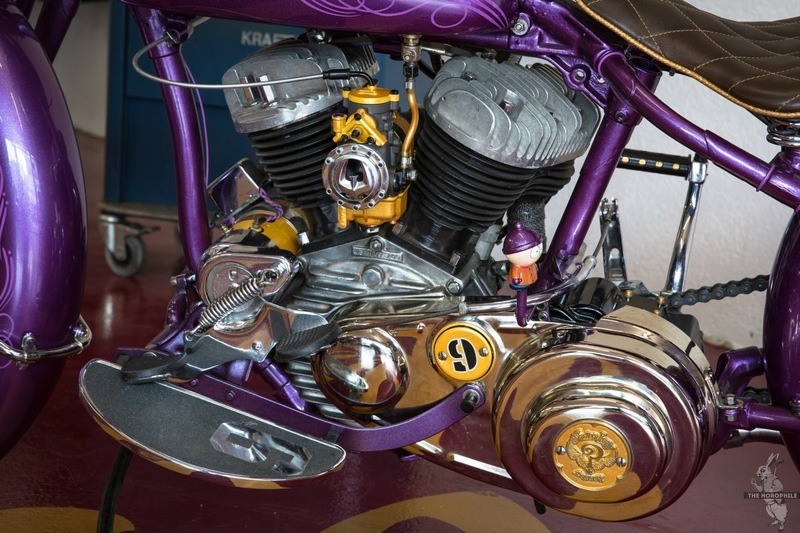 The skull itself is based on the H9C logo, you can even make out the “9” on the temple of the skull revealing the barrel and mainspring beneath. 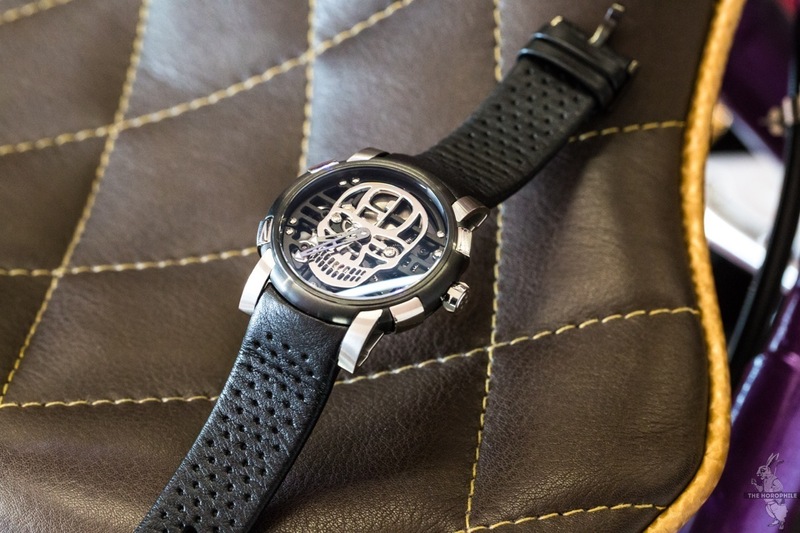 To give it a more biker-appropriate look, the watch comes on a perforated black calf leather strap. 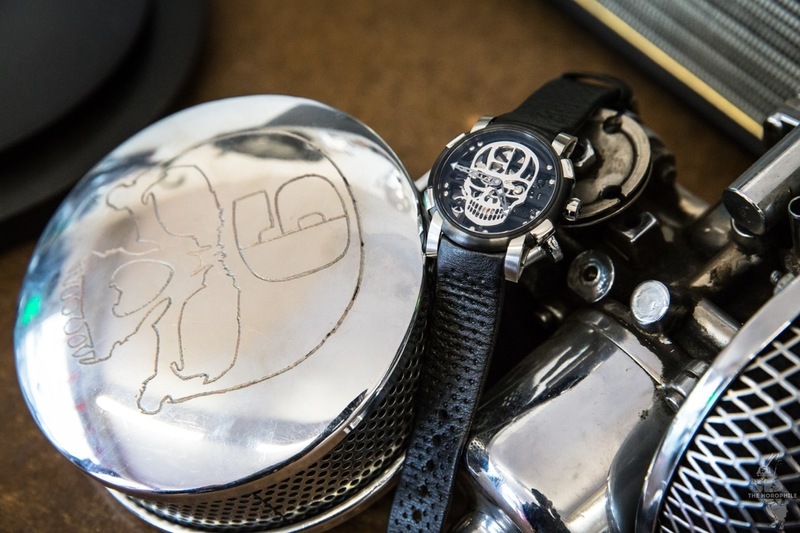 The way the movement is open-worked makes the chrome-like skull blend in quite nicely, which is definitely the way to go if you’re making a skull watch. 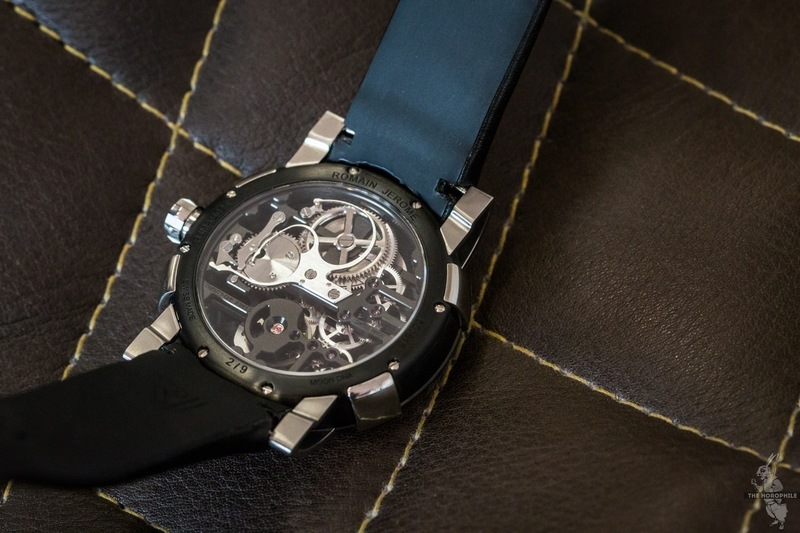 The Romain Jerome H9C-DNA comes at a price of $21’950 USD and if you like the watch, you might want to act quick as it is limited to only 9 pieces, and I know a few have already been spoken for. 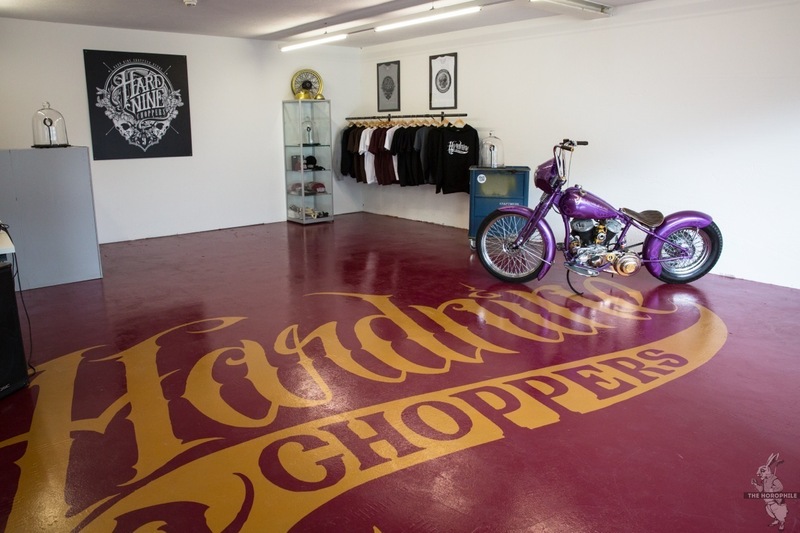 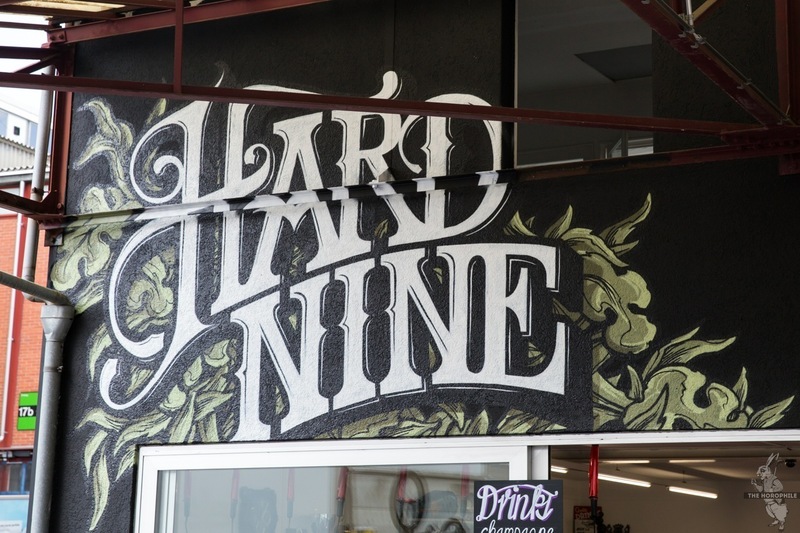 A big thank you to Romain Jerome and HardNine Choppers for a truly memorable evening!